Welcome to Racerhead—this is not DC! 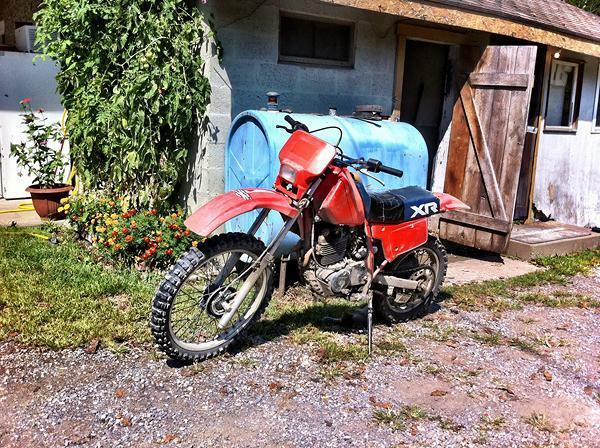 On a brisk West Virgina morning, Davey and Racer X President Bryan Stealey hopped on their street bikes for an hourlong journey through picturesque Southern West Virginia. 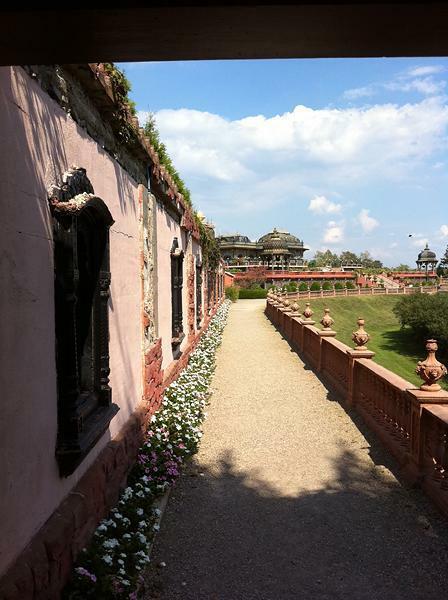 Around lunchtime we began receiving photos from DC of their adventures. Hours later, still no sign of them. We think they’re playing hooky. 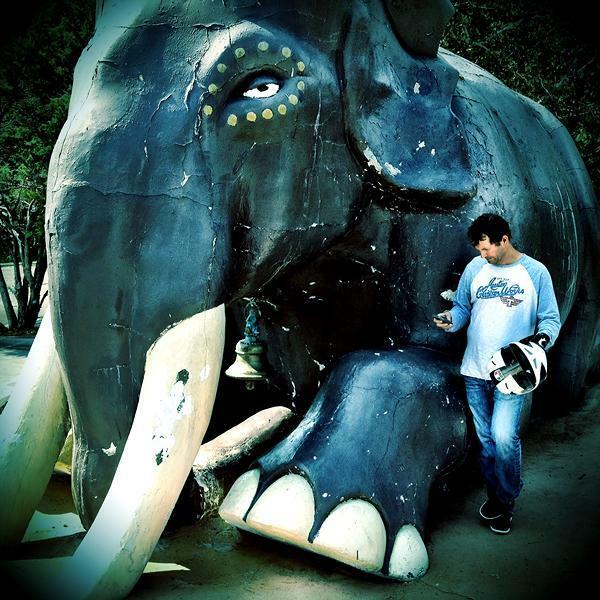 Anyway, enjoy some cool pictures from the boss man before we start things off with Ping! I just found out there have been some major changes to the national number system for this year. The system seems to change every year, making it difficult to keep up with the process. 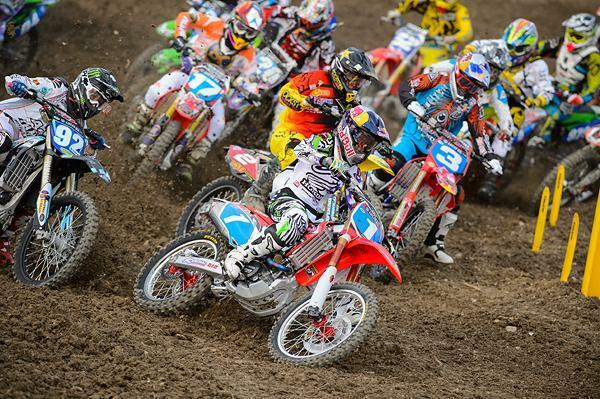 Apparently, starting with 2012, 250-class supercross points will now count toward your national number! This is something that has never been the case before, and personally I am outraged—mostly because during my time as a pro racer I could have had significantly lower national numbers! Until this year, the only racing that counted for national points was 450cc supercross, 450 Class motocross, and 250 Class motocross. That means those riders who tend to do better in supercross will have better national numbers. For instance, Cole Seely, who had a great supercross series but missed the nationals with injury, would have had a tall number, but now he is looking much better. The official list should be out soon. Did you go to the San Diego Supercross this year? If you did and you went by the Troy Lee Designs transporter, you probably saw a small band playing during the daytime qualifying sessions. It was a group of three guys playing some instruments and some makeshift drums who call themselves Emblem 3. I hung out and watched them for a while and it was cool music, but they seemed like really young kids just having a good time. I figured they were friends of Hollywood super-agent Brian Segrist and they got hooked up with some swag from TLD for playing a little gig at the supercross. Well, it turns out these guys are actually legit and probably going to have a future in music. They were featured on a recent episode of the X Factor and they absolutely killed it. The search for Miss Monster Energy Cup is on, and it’s down to three very deserving contestants. I’m actually not sure what the qualifications are, but these girls all look deserving to me. Guys, I know there are many, many things you have to do during the day. And I know that even once you arrive home, the cold beer and pretzels aren’t going to consumer themselves, but if you could manage to head over to www.monsterenergycup.com and vote for the finalists, that would be great. You are so giving. Miss Monster Energy Cup will be responsible for 30-second-card duties, podium presentations, and rider interviews. And, of course, looking amazing all day long in some type of improbable Monster getup, men smashing their heads into brick walls in her wake. I want to quickly say congratulations to Blake Baggett, Ryan Dungey, and Ashley Fiolek. 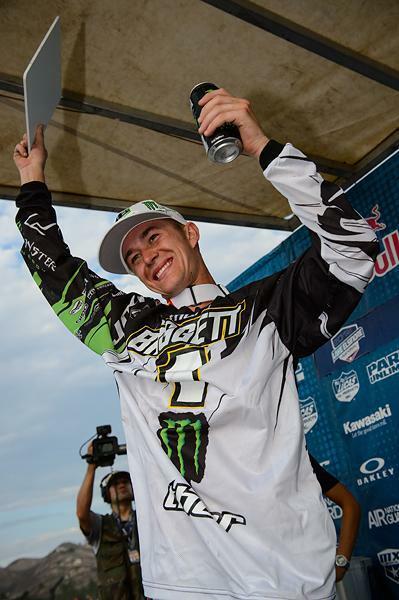 Blake left no question last Sunday who was meant to be champion this year in the 250 division. His efforts in both motos were absolutely incredible and it was impressive to watch. I know Blake and his family have sacrificed a lot to get to that point. It was cool to see. 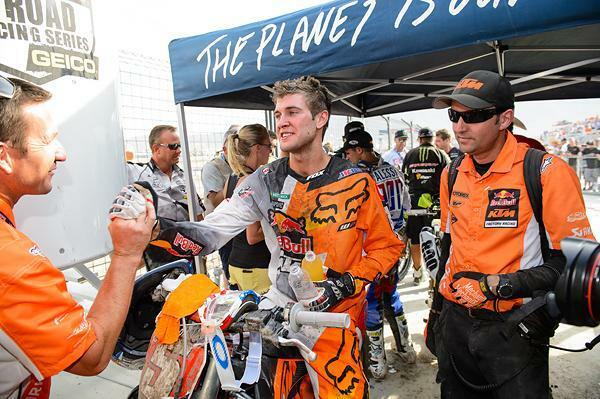 And you couldn’t ask for a better example of a champion than Ryan Dungey. As Weege pointed out this week in his Racer X Redux, Ryan put in his work at home, raced hard on the weekends, and never once let a bad word fly or let emotion get the best of him. That is as rare as winning ten rounds in a row. And Ashley Fiolek won yet another title as she rides off into the sunset. I’ve heard she is going to quit racing but nothing has been announced officially, as far as I know. Ashley is an amazing person and an amazing talent and I hope she stays involved in the industry in some capacity. Great job to all of you. Now go kick some sand in the world’s face in Belgium. Congrats to Ashley Fiolek on her fourth WMX title. And … exhale. We’re all done with the season and now the off-season begins. In a couple of weeks we’ll have the Motocross of Nations and then a couple weeks after that will be the Monster Energy Cup and then couple weeks after that I’ll probably be in Paris for Bercy. Not that I’m complaining about it—just pointing out, as my wife did the other day, that there really isn’t an “off-season” for me either. Lake Elsinore has come and gone, and what a ride by Blake Baggett there. There was no talk about points scenarios and what he would need to clinch the title this past weekend. Nope, Baggett went out and took care of business with the overall win, and most likely, had he not fallen, with a sweep at that. Baggett was fantastic on the new track, and looking at the stats, he only holeshot one moto all year, led the fourth most laps on the year, and yet led the points the entire way. And Blake Baggett on his first career 250 Championship. That tells me he was the best guy. He passed his main rivals and grabbed wins, which makes him the best in my opinion. Not leading a ton of laps, not grabbing holeshots, and having the most wins speaks for itself. We had Eli Tomac on the PulpMX Show last Monday, and to his credit, he didn’t shirk from the fact that Baggett was the better man and also admitted that in the first moto, the heat got to him. Eli rode amazing and showed great speed, but it wasn’t enough in the end. He also dropped a substantial hint that he’d like to ride 450 outdoors next year, and I hear there’s a good chance it could happen. Justin Barcia captured another moto win at Lake Elsinore and, because of Tomac’s poor second moto, captured second overall in the 250 points. By far, without a doubt, 2012 was Barcia’s best outdoor season, as he doubled his career race-win total and was a consistent front-runner. He’s off to the 450s next year. 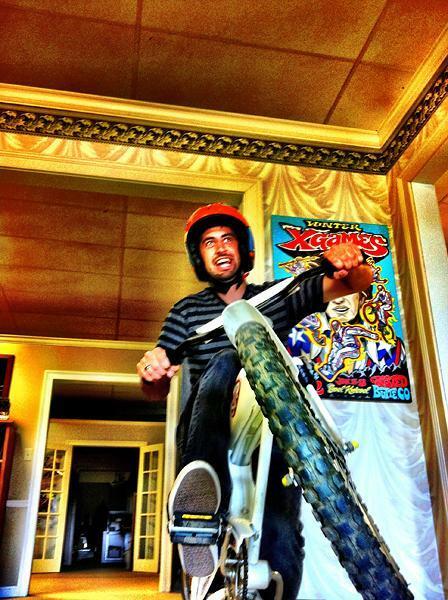 Not sure what Jeff Emig was talking about in the broadcast about how Barcia will find it tough to win the 450 title since no rider has won the big-bike title without winning the small-bike title. Chad Reed from three years ago comes to mind, as does Jeremy McGrath, Greg Albertyn, and others. 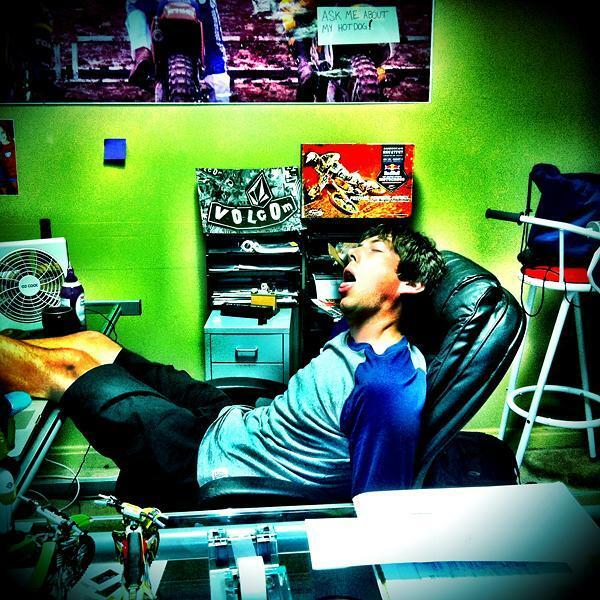 It’s okay, Justin, you’re still good to go win the 450 motocross title. The boys at KTM sure did a great job with the all-new 450 SX-F and figured out how to make the bike last all twenty-four motos and tune it into a winner. Oh yeah, I suppose Ryan Dungey has something to do with that as well. Dungey has now won four supercross and motocross titles combined and is now third all-time in 450 (250) MX wins and also fourth all-time in combined outdoor wins. Ricky Carmichael, James Stewart, and Bob Hannah sit above him, but two of those guys are in sight (but one of them might have something to say about that next year). 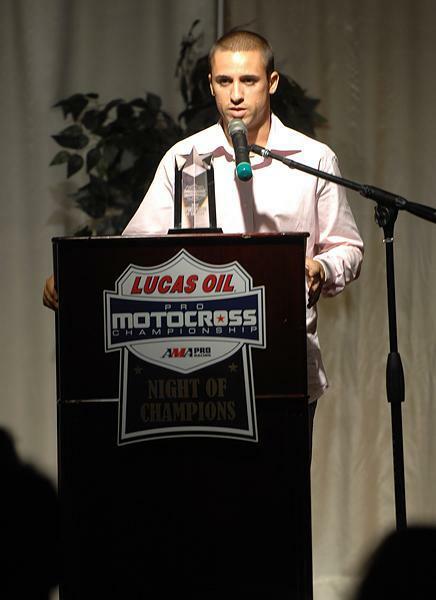 Mike Alessi won the Sportsperson of the Year Award. Congrats to Mike Alessi on a great season as well. Riding his Hot Tub Time Machine, Alessi fought hard the entire season and never, ever admitted defeat to Ryan Dungey. What a year for the #800 and his MotoConcepts team. Okay, that’s it for the week. Matthes OUT. Between running this website and hosting a bunch of TV stuff, I've probably been involved with 179,534 projects this racing season. But there was still one big goal for the year: getting the annual Lucas Oil Pro Motocross Awards Ceremony over and done with in a reasonable amount of time. This year, finally, it's mission accomplished. DC provided the closing comments for the show, and at exactly 8 p.m., we were done. We were on time down to the minute! This is the fourth year MX Sports has run a postseason awards ceremony, and this one ran the most smoothly, by far. 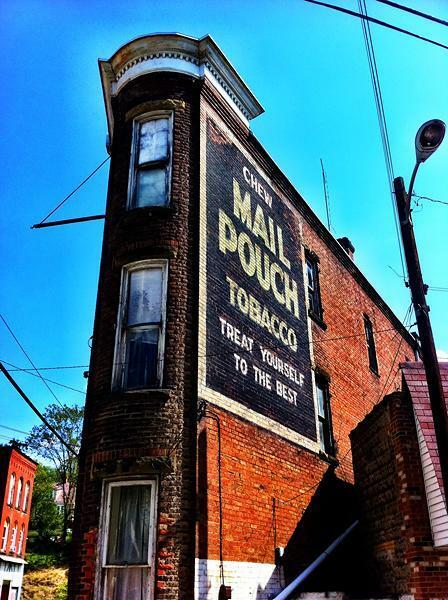 The first year, 2009, the final race took place at Steel City, so we threw a little get together in Pittsburgh. After the show, I remember complaining when Chad and Ellie Reed were headed back to their hotel instead of heading out to the bar. Well, little did I know Ellie was actually pregnant at the time. And then Chad rallied back downtown an hour later to celebrate! The next two seasons, Pala hosted the final race, and we made the awards show out in California much bigger and better. Too big, in fact. Last year's show dragged on forever as we handed out all kinds of special awards and tried to make sure everyone who came got some sort of recognition. We were in trouble when Ryan Villopoto finally got to accept his 450 Championship at the end of the night and said "You've lost the room, dude." I guess four hours will do that! Ryan Dungey won the 450 title for the second time in his career. This year we took a less is more approach, with a goal of starting at six and ending at eight. We did it. Sadly, that means I left a ton of jokes on the cutting-room floor, but my real job hosting this thing is to move it along, so I'm cool with that. Plus, I bruised much fewer egos this year. Then we moved the show into South Coast Winery courtyard and ballroom and had a great after party. It took for years, but we finally got it dialed. To pare the show down, most of the awards are predetermined based on points and such (and giving Roger DeCoster Team Manager of the Year and Red Bull KTM Team of the Year Awards was pretty much a no-brainer). But the Sportsperson of the Year slot was up for much discussion. 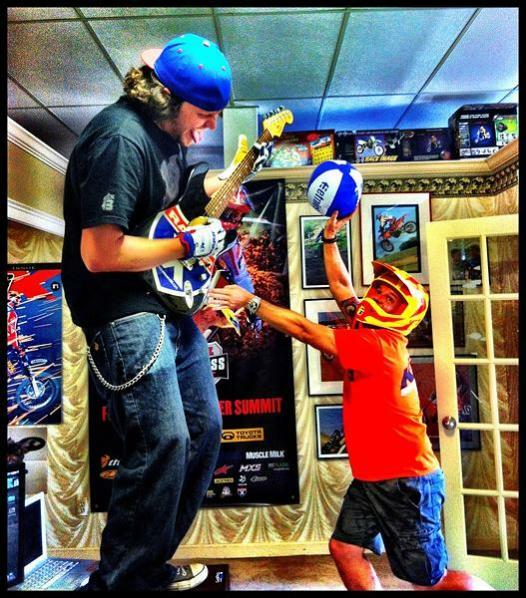 In the end, we gave it to Mike Alessi. Mike and his family ("My crazy dad," laughed Mike during his acceptance speech) have been much maligned over the years, in great part because they did not exude much sportsmanship. Back in the day, the Alessi's were not afraid to brag, they held a win-at-all-costs mantra, and they caused friction wherever they went. It's Mike Alessi's past that makes his 2012 outdoor campaign so exceptional. This year, Mike became the most respectful rider in the series (and, in the case of his, "Please hug me after I just beat you" moment with Dungey after Washougal, he was almost too respectful at times), and that's not something you would have expected from the Alessi's ten ye ars ago. "At the end of the year last year, I didn't have a ride, I didn't know what I was going to do," said Mike. "I think that humbled me." Indeed. So humble now is Mike that after the show, he told me being Sportsperson of the Year means as much to him as winning the championship. Not sure if he really, really means that, but I know that it's a least a consideration. At one point, the Alessis would have traded anything for a race win or title. Now, they run a much more balanced program. Change like that is hard to come by, so Mike and company are definitely deserving of some praise for turning their ways around. Jessy Nelson won Rookie of the Year honors. Red Bull KTM's Jeffery Herlings wrapped up his first career MX2 World Championship last weekend at the Grand Prix of Europe in Faenza, Italy. Earlier this week he was thrown a welcome home celebration by the Dutch fans in the town of Gemert. Video courtesy of Motocrossplanet. 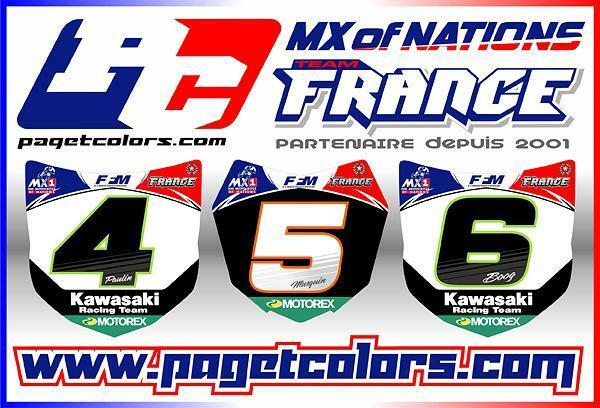 The French Motocross of Nations team has released their graphics for the September 30 race at Lommel, Belgium. While researching a different project, check out this old video clip I found of what appears to be the 1968 Motocross of Nations in Russia... Or maybe it's Romania's team at the event! 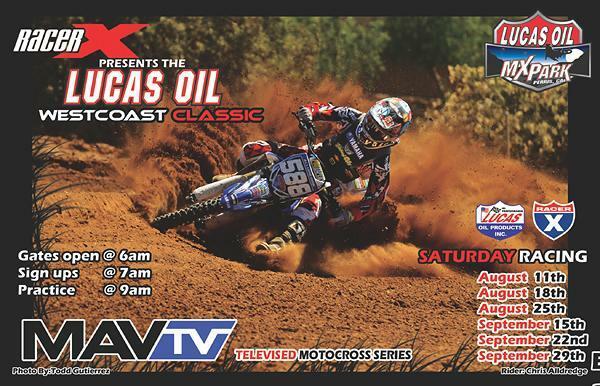 Round 4 of the Lucas Oil West Coast Classic Race Series presented by Racer X is back after a two-week break. Come out tomorrow, Saturday the 15th, all you SoCal racers to the Lucas Oil MX Park in Perris. Gates open at 6 a.m., sign-up’s at 7, practice at 9. This is a televised series on MAVTV. Check your local listings for the channel in your area. Don’t miss a chance to block pass your riding buddies on TV! Snocross Champion and longtime Lucas Oil Pro Motocross privateer Tucker Hibbert had the honor this week of throwing out the first pitch at a Minnesota Twins game. Very cool! Okay, that’s it for this abbreviated edition of Racerhead. 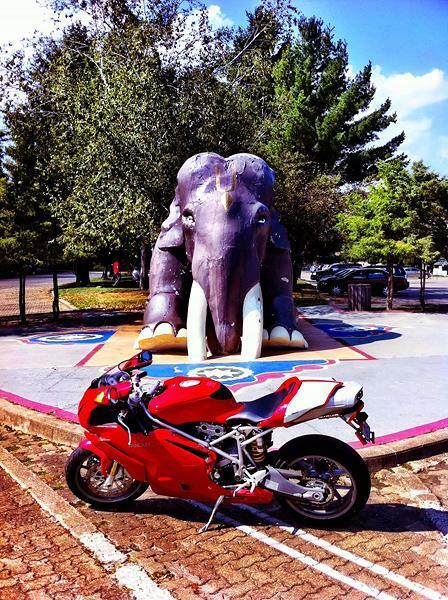 If you have time, take a cue from our management and go out and enjoy a ride. Otherwise, enjoy your weekend. See you at the races.